May Day is celebrated all across the world in different ways for different reasons. While the majority of us in India celebrate May Day as Labor Day, also known as Kamgar Din. 1st May 1923 marked the beginning of May Day Celebration in India when the Labour Kisan Party of Hindustan for the first time used the red flag. The day is also celebrated as “Maharashtra Day” and “Gujarat Day” to mark the date when the two states attained statehood in 1960. 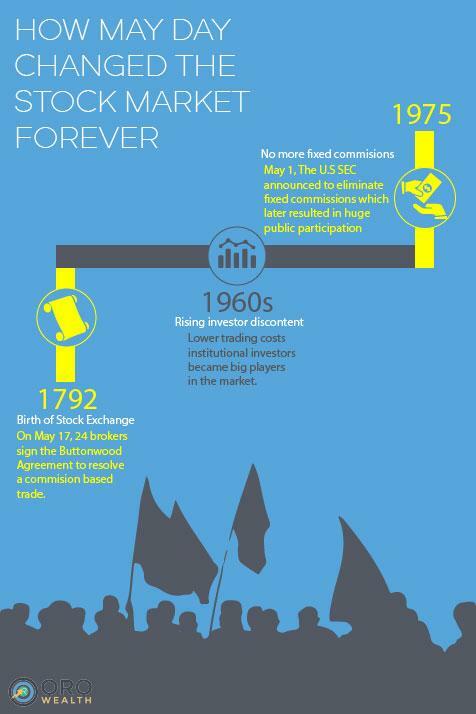 But do you know that May Day holds significant importance in the world of finance? 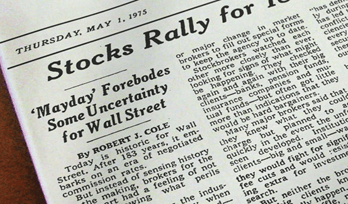 On May 1st, 1975, the stock markets completely changed in the United States. It was on this day after 180 years, the brokerages moved away from previously used fixed price model to varying commission rate that was determined by the market competition. Previously, the brokers charged a fixed rate commission irrespective of the trade size and thus resulting in profit erosion for small-time investors. Prior to May Day, commissions were in the range of hundreds of dollars and the brokers feared expulsion if they charged a lower rate. The U.S. Securities and Exchange Commission (SEC), in 1973, announced to eliminate fixed commission in order to make the investment industry more rationale and competitive. Though the change was controversial, on May Day it was eventually decided that discount brokers will be created. And eventually, within the space, the brokers offered plain vanilla trading services with a reduced commission and moved the advice segment under new service offering. The move resulted in a do-it-yourself kind of regime and this, in turn, transferred to rising penetration of equity investment among individuals, primarily retail investors. May Day marked a new beginning in the financial world and thus it is often described as a “deregulation,” which eliminated the private-sector rules and created a new field of opportunities. While the shift could not see any immediate benefit as the brokers tend to keep their commission stable and in-line with competition but eventually, over time the change proved to be dramatic. Commissions dropped from around 80% per share to a mere few cents in the 21st century. Both full-time brokers and discount brokers reduced their rates and commission which kind of propelled internet trading. This translated to rising public participation in the stock market where retail investors’ participation increased from 15% in 1975 to over 60% after four decades. While there were concerns about the brokerage industry due to a massive cut in commission, fee-based arrangements became increasingly common at a time when commissions plunged. Brokerage houses started to offer a gamut of services including research, financial advice, and planning thereby helping them grow even further. Thus to conclude, if we have to see from the perspective of the last four decades, May Day was a success especially for the Finance Industry. And of course, we at ORO Wealth would like to take some time to appreciate and acknowledge the efforts of all the hardworking people who contribute to our nation and society without whom none of this would be possible.